Or is it simply the 'fuel' you need to live a successful, and stimulating life? Or is it both of these and more? Well, you'll find quotes, poems, and articles to help you make up your own mind. As for me, I believe a fulfilled life awaits us all - in love, in work, in friendship... we just need to want it! I'll explain below. Oh, and do share YOUR views, as always - this is the Self Help Collective, remember! Confession-time: I am not the most pashonate person in the world! But maybe there is more to it than fervently following your football team, supporting a 'cause', or being 'head over heels' in love. from focusing on what excites you." Or maybe it's just about finding, and living your life your way, and not somebody else's. ASIDE: I know a lot about living my own life, having my own values and beliefs, that's for sure. I also know it takes a lot of courage to live your life this way - your way! This is one of the main reasons I created SelfHelpCollective.com, if the truth be known. Interestingly - and you may already know this - I used SiteSell's internet business-building service called SBI! to conceive of and create SelfHelpCollective.com. Yep, SBI! is a great way of using 'what sparks you into life' to transform your life - of turning knowledge into income, so to speak, as this SBI! page explains! 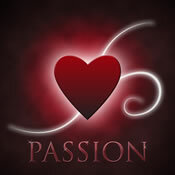 to a point of passion that unhinges my soul." finding and living by your own P-A-S-S-I-O-N-S ? Don't ask me! I certainly don't know it all! In fact, I'd love it if you shared your thoughts on this subject (please do)! Share this p-a-s-s-i-o-n page - thanks!